Houstonians love having plenty of space to move about, and this seems to go double for those places we view and make art. 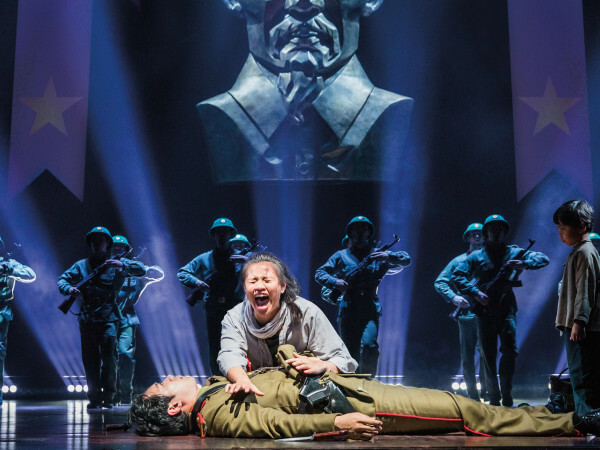 In the past several years we’ve seen an unprecedented wave of new construction and renovations to give artist and performers lots of room to roam. And all that venue building shows no signs of slowing down in 2017. 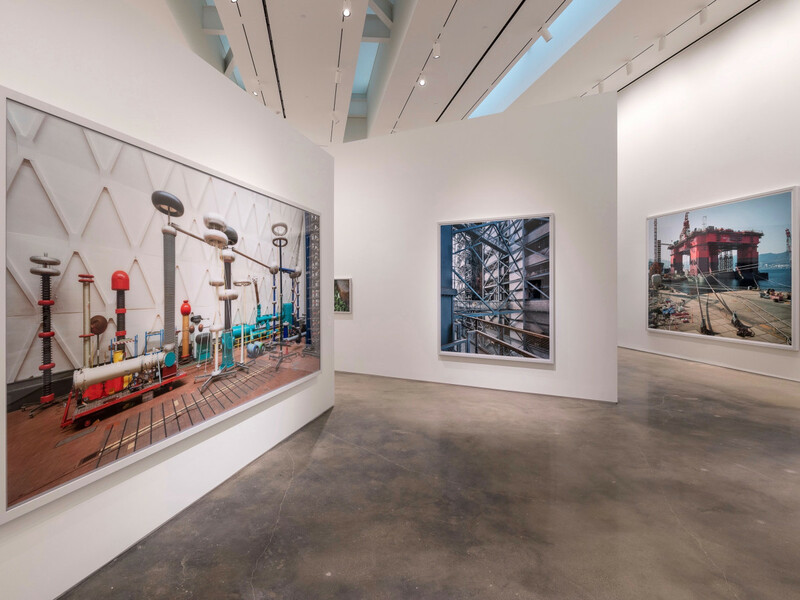 So in CultureMap’s continuing journey to explore these new spaces, it’s time to take a walk-through and closer look at the most recent addition to Houston’s arts venue landscape, the Moody Center for the Arts at Rice University. Perhaps an easier question to answer would be: what isn’t the Moody Center? 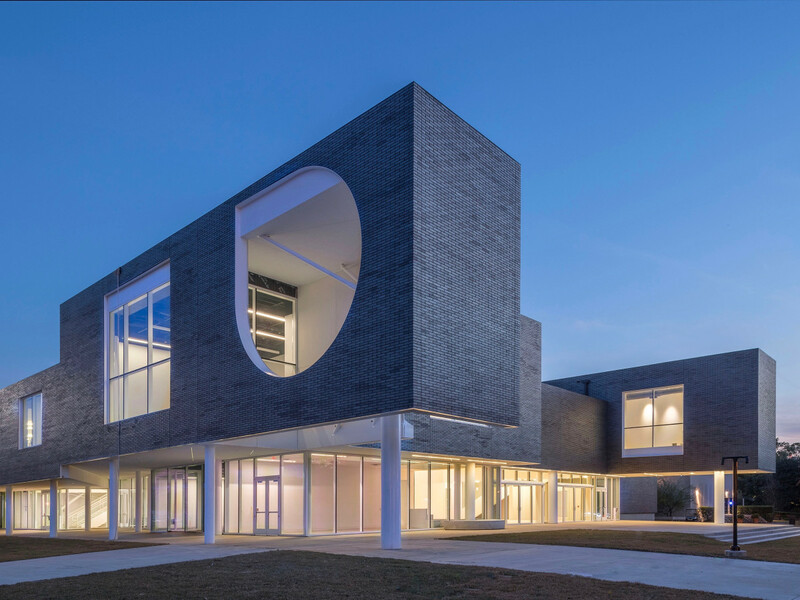 Because with the exception of a rink for ice dancing, the Center offers space and facilities for a wide spectrum of learning, creation, exhibitions and performances. 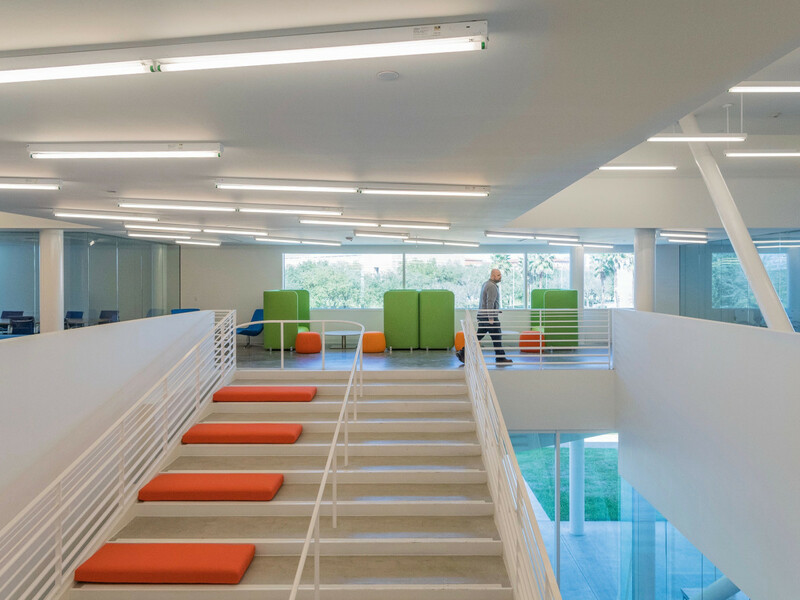 The 50,000-square foot, $30 million building designed by award-winning architect Michael Maltzan serves many cross purposes for Rice University and the city of Houston, and that’s a good thing. 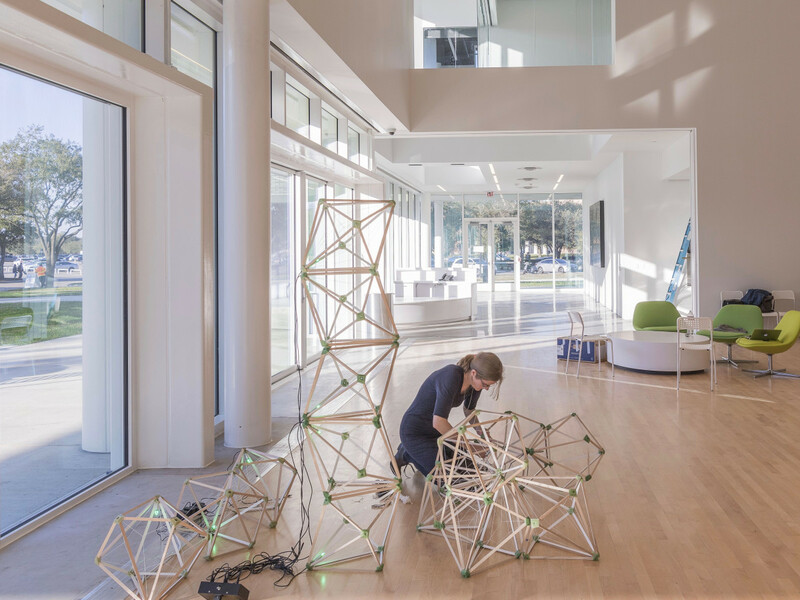 With two designated galleries spaces, a studio theater that can be configured for many types of theatrical stagings, as well as teaching and lecture rooms, the words of day, everyday, at the Moody Center will be creativity and collaboration. 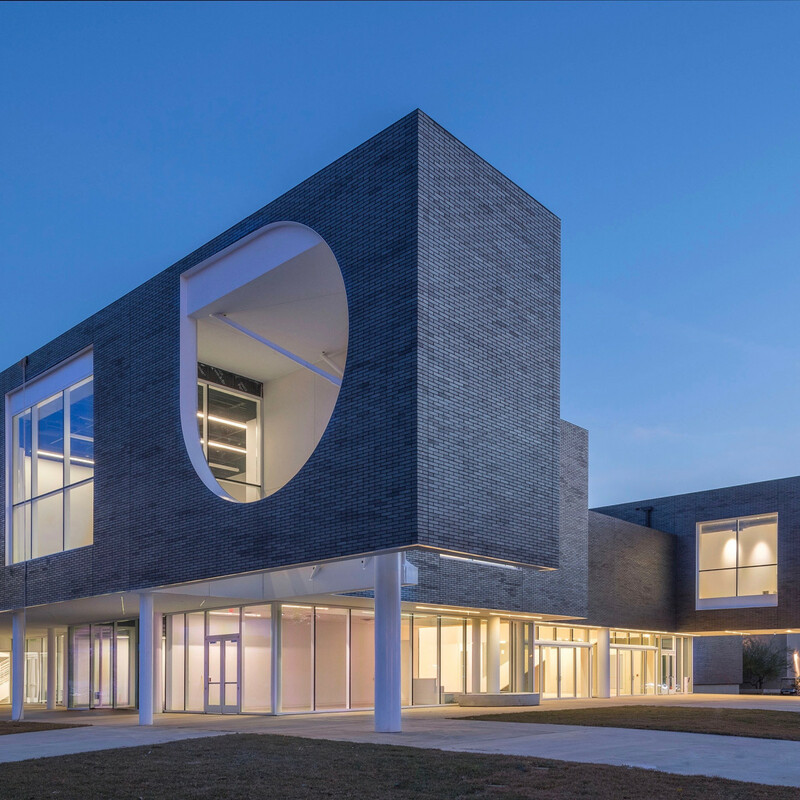 In fact when speaking about the space at the recent official opening, Maltzan explained one of the main goals of the building’s design was to foster collaborative and create connections between disciplines. 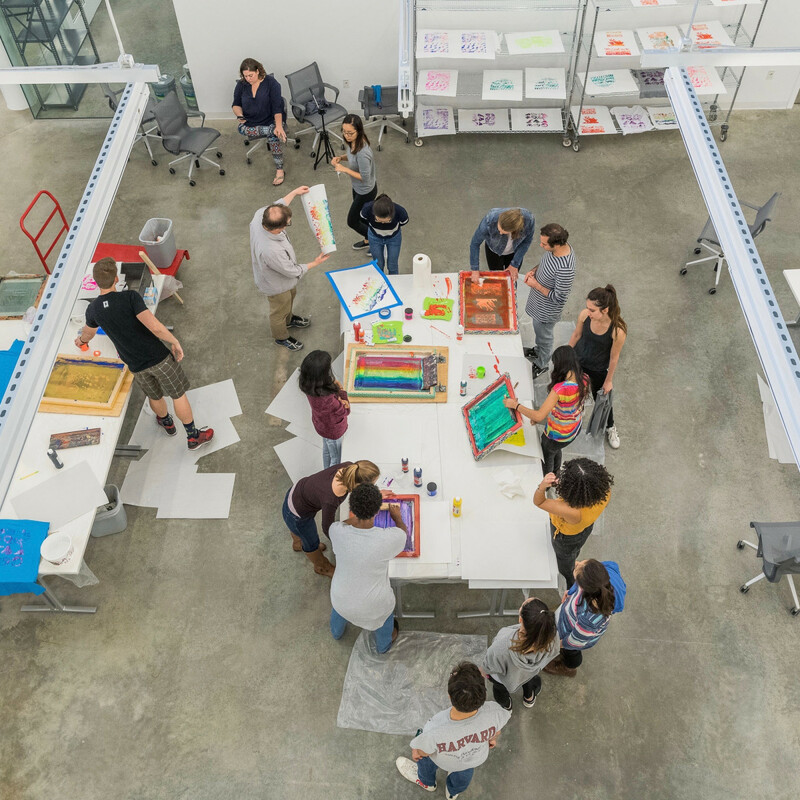 “From the beginning the design challenge at the Moody was to support the goal of creating a center for true interdisciplinary and collaborative work in the creative arts,” Maltzan said. But what do all those architecture descriptions mean for students, artists, visitors and audiences? Well, when experiencing the Moody from the outside and in, even someone with little architecture knowledge can see how the building, quite literally, brings light to the creative process. Touring the building during its opening week, I found few areas of any darkness. With floor to ceiling windows, light and especially sunlight, steams through everywhere. Within the building, what walls there are between classrooms, fabrication workshops, offices and conference rooms are mostly made of glass. Standing outside the building, someone passing can see activity within and from many places inside the building those working and learning within can gaze across the Rice campus. There are spots all along the second floor to watch workshops and performances on the first floor and those on the first can look up to see what’s happening on the second. 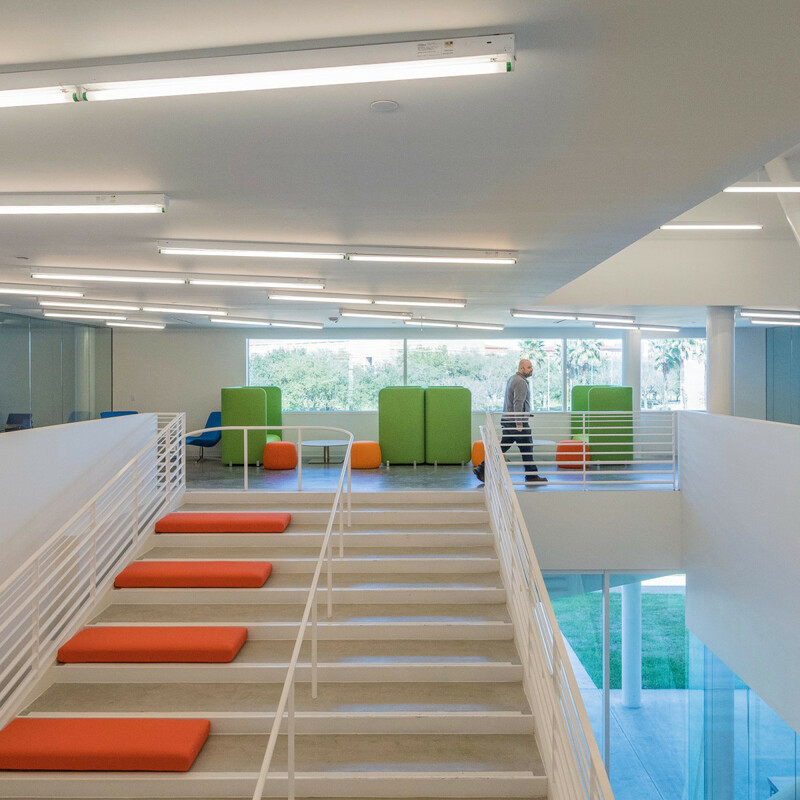 All that light and open space also creates a nurturing environment for collaboration, with lounging places throughout and even what looks like comfy places to relax along the expansive, open stairway between floors. 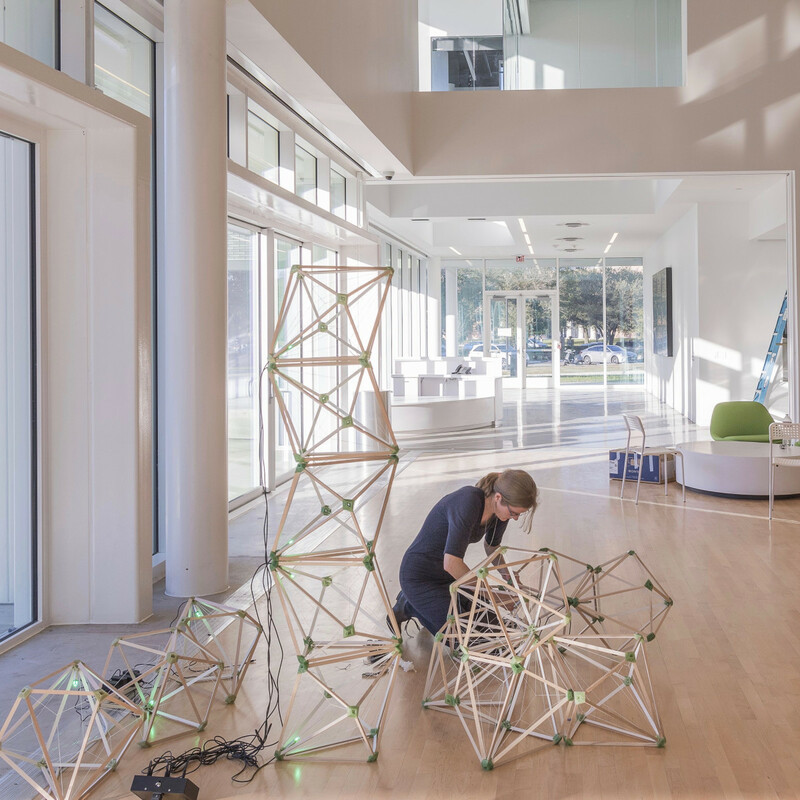 Programming for the Moody Center began as soon as its transparent-glass doors officially opened, and most exhibitions are free and open to the public. Since the Center will not be a collecting institution, art exhibitions will come and stay for a few months, a season or perhaps ever a year before the next experimental or innovative piece finds a temporary home a the Moody. 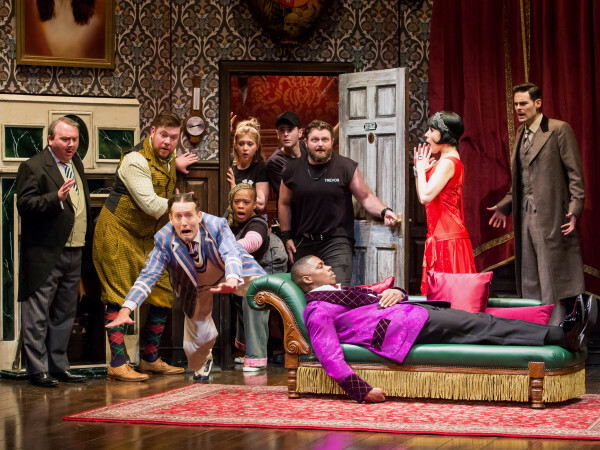 So here’s just some of the events, exhibitions and performances to look for now and into the spring and summer. 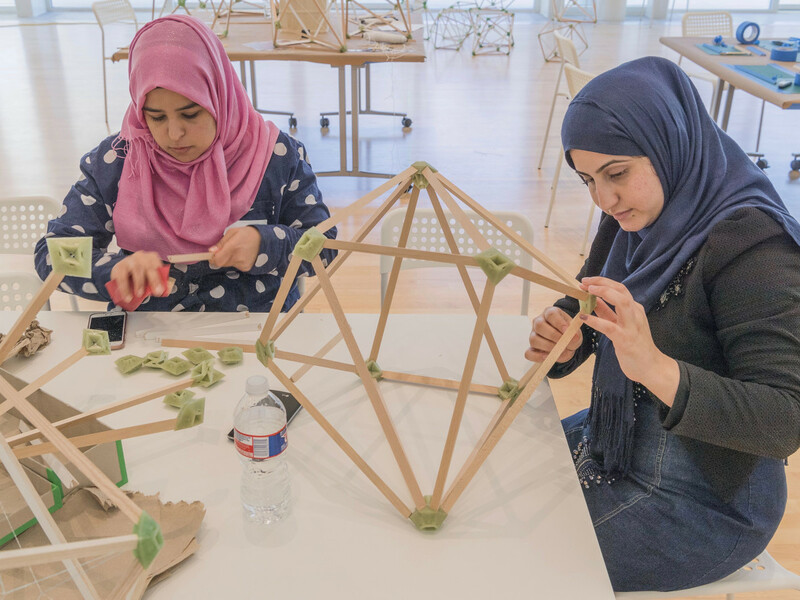 Local asylum seekers and refugees will contribute to this collaborated project and installation, as they help to build modular green lanterns designed by Eliasson and made from recycled and sustainable material. 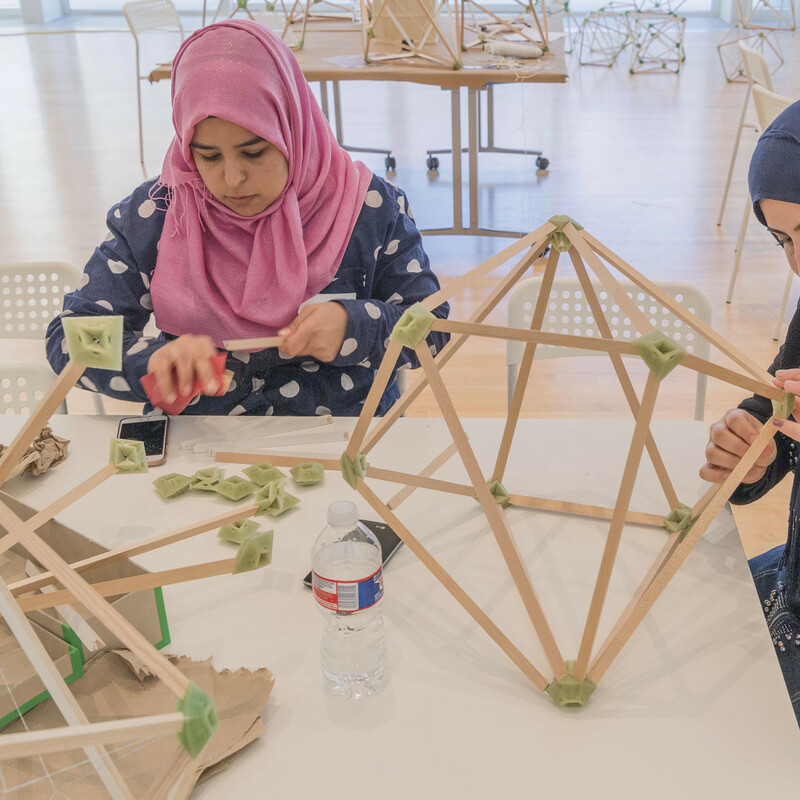 The lamps will later be sold and a portion of the proceeds will go the project’s local partner Interfaith Ministries of Greater Houston, to benefit refugees. 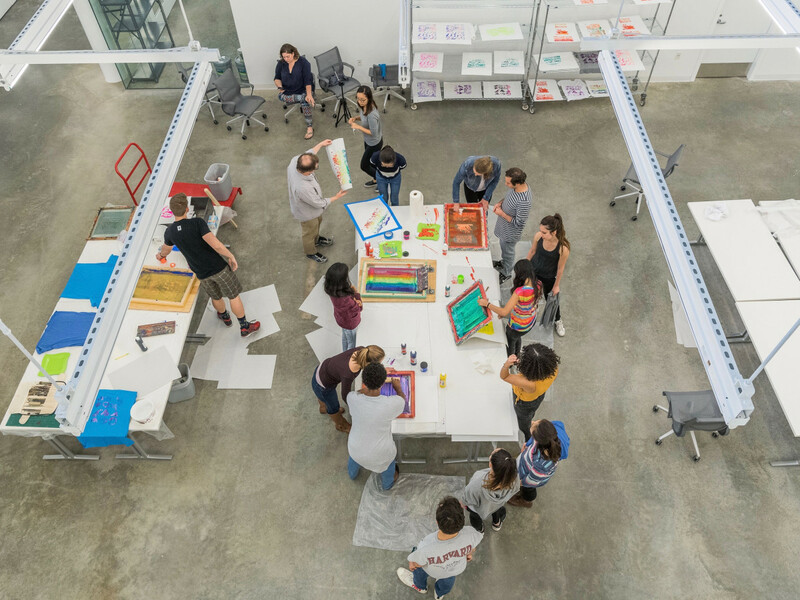 Rice students and the general public are invited to participate in the workshops which will also include language courses, seminars, artist’s interventions, film screenings. 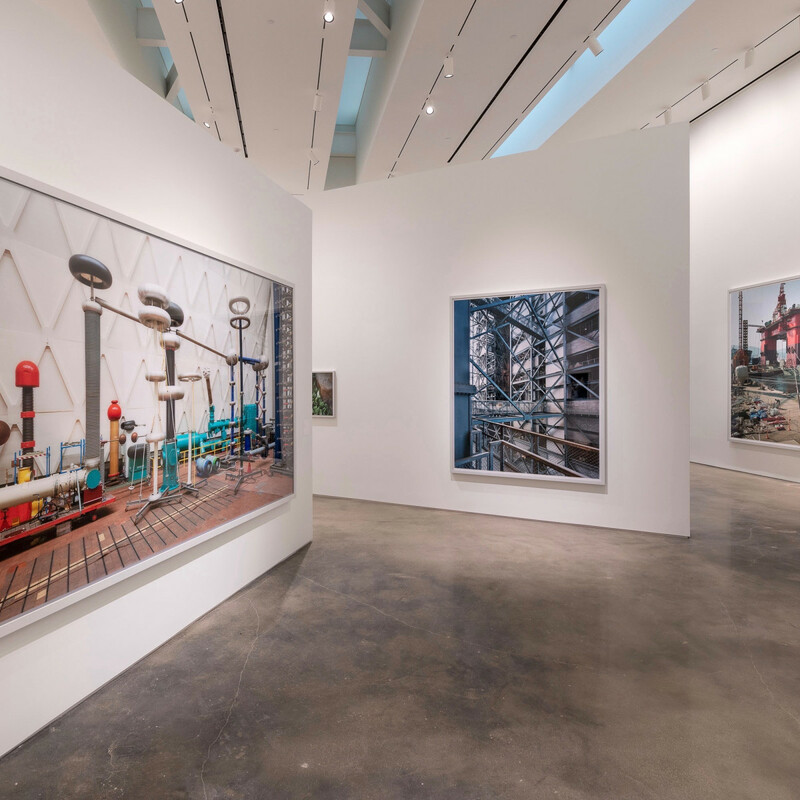 This photography exhibition in the sky-lit Brown Foundation Gallery feature very different kind of landscape photos, the colors and typography of human-made, and sometimes immense structures, like offshore oil rigs, NASA facilities and the inside of the Max Planck Institute of Plasma Physics. 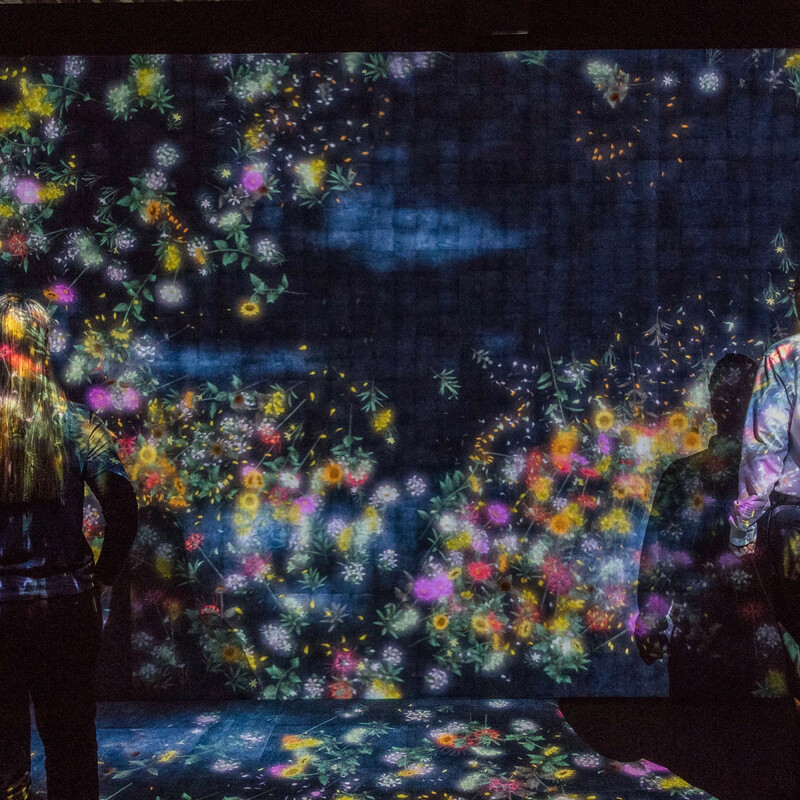 Flowers & People, Cannot be Controlled but Live Together – A Whole Year per Hour (2015) by Tokyo-based art collective teamLab (now through August 13). 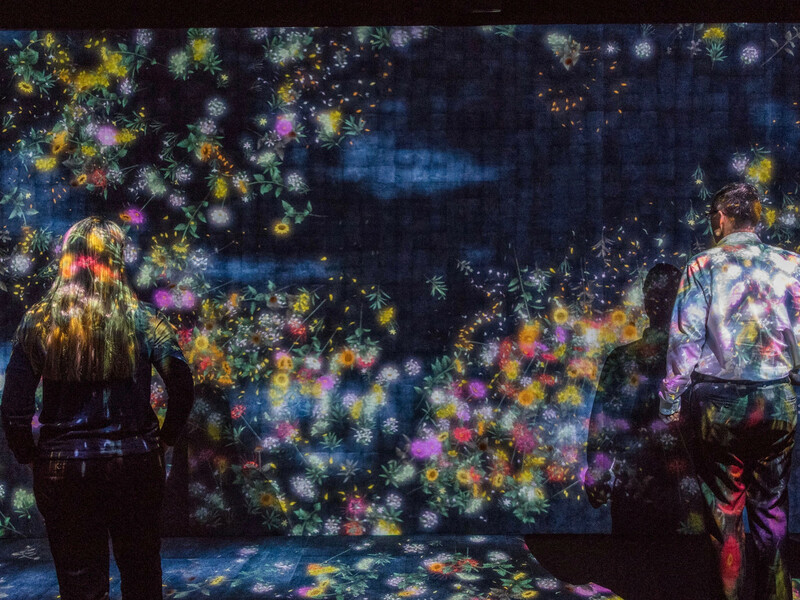 The title is also summary of this interactive installation within the Center’s Media Arts Gallery, as sensors inside the gallery respond to visitors’ movements by projecting the life cycle of flowers on the walls and on the people within. As the first full productions in the Lois Chiles Studio Theater, this modern retelling of Homer’s Iliad by Lisa Peterson and Denis O’Hare emphasizes the telling aspect, with actor Leon Ingulsrud taking on the part of the wandering poet/narrator and the performance will be accompanied by original music composed and performed by students from the Shepherd School of Music. The exhibition spaces and café at the Moody are open to the public and free of charge Tuesday through Saturday from 10am to 5pm. Events and programs at the Moody are open to the public through a ticketed, advance-reservation system.